When you have lupus, people just don’t get it. Friends and family may not understand why you can’t get out of bed and get going. Co-workers may think you’re being lazy, or wonder why you’re taking so many sick days. After all, most of the time a person with lupus doesn’t “look” sick. Lupus no cakewalk, though, as anyone who has it will tell you. An autoimmune disease that can damage the skin, joints, and other body organs, it affects an estimated 1.5 million Americans, and 90 percent of those are women. Women of color are two to three times more likely to develop it than Caucasians. Currently there is no cure for lupus, but treatments are improving. Early diagnosis can help lessen its affects on the body. Still, the disease can be a tough nut to crack. Each case is different, and doctors are often challenged to find the right combination of medications and therapies to minimize the effects. 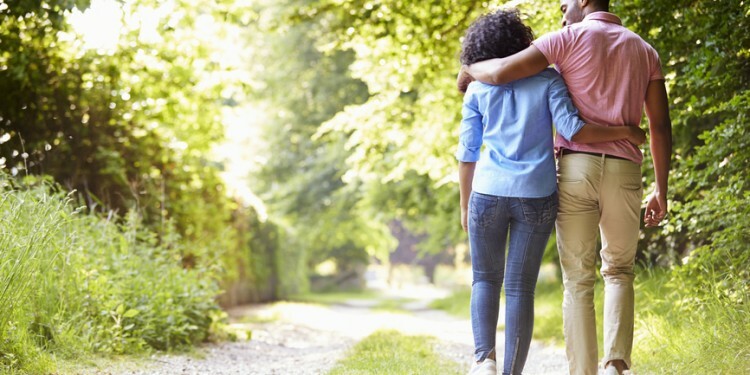 Though there is no magic bullet to make everything better, there are steps women can take to experience less pain and more joy in their lives. These symptoms have a cyclical nature to them, flaring up at times and then receding or even disappearing for awhile. It’s during those quiet times, though, that women can feel especially anxious, worried their symptoms will come back. Any self-care program for a woman with lupus, then, must include coping techniques for these three symptoms. Though working with a good doctor will help, there are some other lifestyle changes you can implement to improve how you feel. Fatigue is one of the most common symptoms of lupus. It can be so encompassing that women find only a few hours during the day when they can actually accomplish anything. Doctors don’t yet know exactly why fatigue occurs. They think it may have something to do with the widespread pain, medication side effects, or other related conditions like depression or anemia. That’s why it’s important to always let your doctor know what you’re experiencing, so he or she can detect any underlying conditions that may be causing you to feel tired. Medication changes may also help. · Get regular exercise: You may not have the energy to start, but the only way to get more energy is to move your body. A 2003 study found that patients with lupus who went on an exercise program significantly improved their fatigue. Those who continued to exercise even after the study was over had significantly lower fatigue scores than those who stopped. 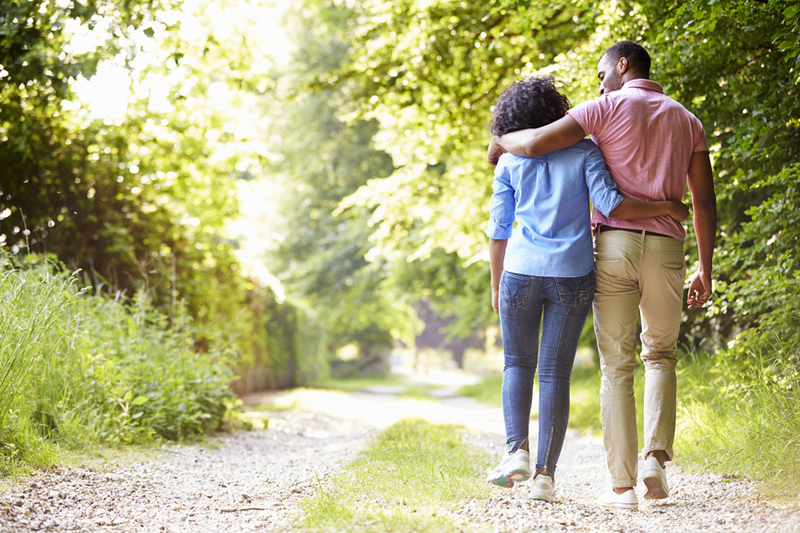 Walking is probably one of the easiest and best exercises you can do. 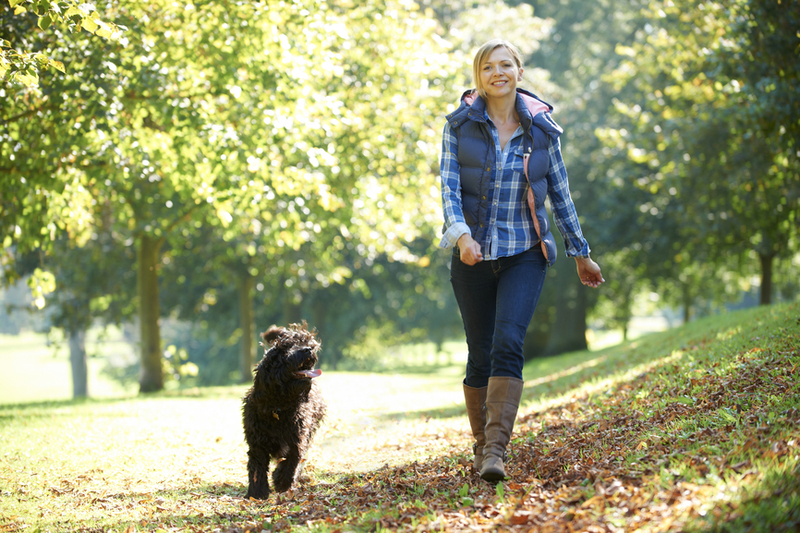 Walk even for ten minutes and you’ll likely find your energy levels increasing. · Get enough sleep: Sleep is important for everyone’s health, but if you have lupus, it’s even more important to develop good sleeping habits. Unfortunately, pain and other symptoms can make it difficult. A 2013 study found that patients with lupus had greater sleep problems relative to the general population. Check with your doctor to be sure you’re not dealing with potential sleep destroyers like thyroid disease, anemia, or diabetes. Then make sure your room is quiet, dark (remove technological gadgets), and comfortable (look for the best bed you can get). Slow down at least an hour before bed, and consider relaxing activities like taking a hot bath and reading a good book. · Eat a healthy diet: Carbohydrates can definitely slow you down. Try eating more fruits and vegetables, which are energizing foods, with lean proteins and plenty of water. Choose more foods rich in omega-3 fatty acids, like fatty fish and nuts, as these can help reduce inflammation. Avoid junk food, fried foods, and caffeine as these can all exacerbate your symptoms. If you’re overweight, try to lose a few pounds, as studies have shown that patients with lupus who are overweight and obese are more likely to struggle with fatigue. · Make sure you’re getting enough vitamin D: Since people with lupus tend to avoid the sun (to reduce symptoms on the skin), they may be low in vitamin D. Our skin makes vitamin D when we’re exposed to the sun, but without it, we’re hard pressed to get enough from food. A 2014 study of women with lupus reported that vitamin D levels were associated with sleep quality—low levels made poor sleep quality more likely. Ask your doctor about your vitamin D levels, and consider taking a supplement to be sure you’re getting enough. · Yoga: This is a low-stress exercise you can do even when you’re tired, and preliminary studies have suggested it may help ease symptoms. In a 2013 study, for example, researchers noted that regular yoga practice could increase muscle strength and endurance, as well as flexibility, while helping to reduce inflammation (easing pain) and promoting an improved quality of life for those with rheumatic disorders (like lupus). Another study of 57 patients with lupus found that an 8-week yoga program improved stress and pain management, as well as sleep, and resulted in overall improved well being. · Massage: Massage has a lot of studies behind it showing that it eases pain, reduces stress, and increases energy. The S.L.E. Lupus Foundation notes: “If you have lupus, massage can help you take back control of the way you feel day to day.” A 2014 case study reported that a woman with lupus received acupuncture and massage for 20 minutes each daily for 30 days, after which she experienced reduced pain, improved quality of sleep, and higher quality of life. 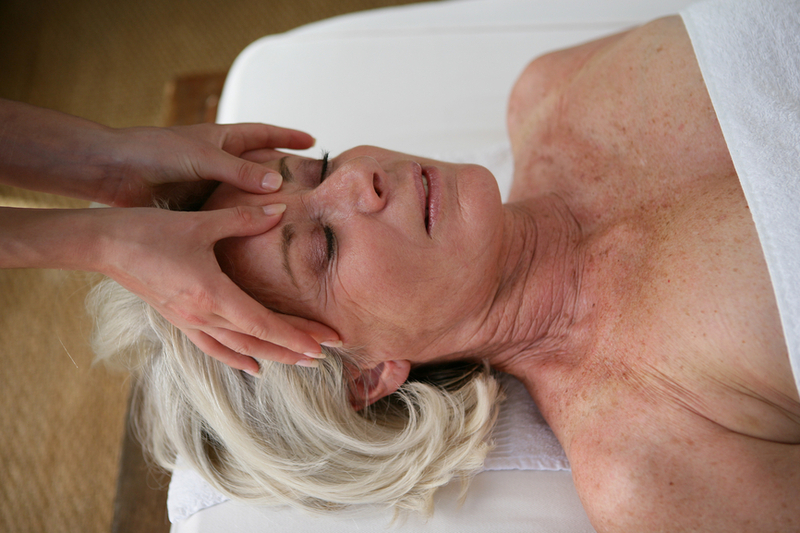 Make sure you get a quality, licensed massage therapist; avoid massage during a flare-up that affects your skin; and avoid deep tissue massage, as it can exacerbate your symptoms. ·Omega-3 fatty acid supplements: As mentioned above, omega-3 fatty acids can help tame inflammation, which is the source of pain. A 2014 study review on omega-3 fatty acids and lupus showed that the nutrients can decrease manifestations of the disease and reduce inflammation levels. A 2004 study found similar results—that supplementation with fish oil may help modify the symptoms of the disease. Other sources of omega-3 fatty acids include walnuts, flaxseeds, and chia seeds. · Acupuncture: As mentioned in the study above (with massage), acupuncture may help ease pain in lupus patients. In a 2008 study, researchers tested it on 22 patients for 5-6 weeks. Forty percent of those patients experienced a greater than 30 percent improvement in measures of pain. We don’t have a lot of evidence on this, but it may be worth a try. Ask your doctor if he or she can recommend someone, and be sure the acupuncturist is trained in treating lupus patients. First, realize you’re not alone. A 2009 study found that anxiety was common in women with lupus. In fact, 65 percent had received an anxiety diagnosis, which included things like panic disorder, obsessive-compulsive disorder, bipolar I disorder, and depression, say nothing of normal feelings of anxiety. A 2011 study, as well, concluded that those living with lupus are at risk for feelings of anxiety and depression. It’s easy to see why. Lupus can cause changes in appearance, including skin rashes, hair loss and weight gain, which can make women anxious in social settings. Since many people don’t understand how lupus works, women worry their friends may react negatively to their symptoms. They may try to hide them, but that can make anxiety worse. Physical symptoms of the disease can leave women feeling worn out, down on themselves, and worried about letting others down. Financial pressures, as well, can cause anxiety over everyday concerns like keeping a roof over one’s head or food on the table. You may want to consider adding a therapist to your medical team to help you cope. This professional can be key in helping to deal with serious anxiety diagnoses, and can also help with social anxiety. A 2011 study, for instance, reported that regular cognitive therapy helped those with lupus to overcome social anxiety. · Focus on what you do control: Anxiety stems from a feeling of powerlessness. Try to make a list of things you still control, like your attitude, what you eat, how you spend your leisure time, who you choose to interact with, and the like. Then, find ways you can regain control in other areas. Maybe you can design a new work schedule, add a gentle walk into your day, or find new ways to save a little cash. · Ask for help: It can be difficult for women to ask for help, but it’s important if you want to maintain your well being. Join a support group. Talk to your therapist. Take your friends up on their offers to pick up the kids or grab some groceries on your bad days. · Move: Lupus can make it difficult to be active on a regular basis, but inactivity can actually cause anxiety. Make a list of activities you enjoy, and rank them in terms of how much energy you need for each. On your good days, maybe you’ll go for a jog or a bike ride. On a bad day, maybe it’s only a short walk, or maybe you’ll content yourself with doing a little flower gardening. Try to work some sort of activity into most days to disperse anxiety. · Meditate: Several studies have shown that meditation can help reduce anxiety. A 2014 study looked at how it affected those with lupus, in particular. Participants who meditated every day for six months showed reduced “overactivity” in the sympathetic nervous system (calmed anxiety) and improved quality of life. You don’t have to get fancy—just sit for ten minutes each day and allow your thoughts to drift through your mind without reacting. Health Journeys has some great CDs to get you started. “What is Lupus?” Lupus Foundation of America, Inc., http://www.lupus.org/answers/entry/what-is-lupus. Elizabeth A. Bachen, et al., “Prevalence of mood and anxiety disorders in women with systemic lupus erythematosus,” Arthritis Rheum., June 15, 2009; 61(6):822-829, http://www.ncbi.nlm.nih.gov/pmc/articles/PMC2763591/. Stangier U., et al., “Cognitive therapy vs interpersonal psychotherapy in social anxiety disorder: a randomized controlled trial,” Arch Gen Psychiatry, July 2011; 68(7):692-700, http://www.ncbi.nlm.nih.gov/pubmed/21727253. Beckerman NL, et al., “Psychosocial dimensions of SLE: implications for the health care team” Journal of Multidisciplinary Helathcare, April 2011; (4):63-72, http://www.dovepress.com/psychosocial-dimensions-of-sle-implications-for-the-health-care-team-peer-reviewed-article-JMDH. Bantornwan S., et al., “Role of meditation in reducing sympathetic hyperactivity and improving quality of life in lupus nephritis patients with chronic kidney disease,” J Med Assoc Thai., March 2014; 97(Suppl 3):S101-7, http://www.ncbi.nlm.nih.gov/pubmed/24772586. 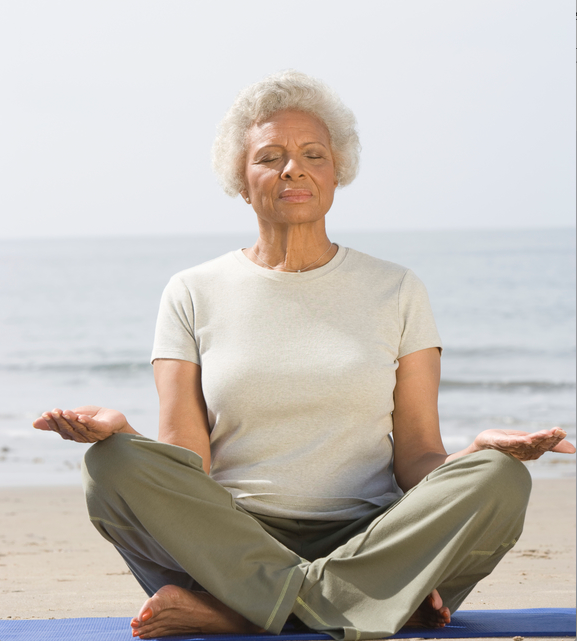 Susan J. Bartlett, et al., “Yoga in Rheumatic Diseases,” Curr Rheumatol Rep., October 31, 2013; 15:387, http://link.springer.com/article/10.1007%2Fs11926-013-0387-2. C.M. Tench, et al., “Fatigue in systemic lupus erythematosus: a randomized controlled trial of exercise,” Rheumatology 2003; 42:1050-1054, http://rheumatology.oxfordjournals.org/content/42/9/1050.full.pdf. Vina ER, et al., “Correlates of sleep abnormalities in systemic lupus: a cross-sectional survey in an urban, academic center,” J Clin Rheumatol, January 2013; 19(1):7-13, http://www.ncbi.nlm.nih.gov/pubmed/23319017. Gholamrezaei A., et al., “Sleep disorders in systemic lupus erythematosus. Does vitamin D play a role?” Lupus, September 2014; 23(10):1054-8, http://www.ncbi.nlm.nih.gov/pubmed/24731962. Oeser A., et al., “Obesity is an independent contributor to functional capacity inflammation in systemic lupus erythematosus,” Arthritis Rheum., November 2005; 52(11):3651-9, http://www.ncbi.nlm.nih.gov/pubmed/16258902/. Samantha Paige-Graeber, LMT, “Lupus and Massage,” S.L.E. Lupus Foundation, http://www.lupusny.org/about-lupus/fight-lupus-body-and-mind/lupus-and-massage. Mooventhan and L. Nivethitha, “Effects of acupuncture and massage on pain, quality of slepe and health related quality of life in patient with systemic lupus erythematosus,” J Ayurveda Integr Med., Jul-Sep 2014; 5(3):186-189, http://www.ncbi.nlm.nih.gov/pmc/articles/PMC4204291/. Mariane Curado Borges, et al., “Polyunsaturated omega-3 fatty acids and systemic lupus erythematosus: what do we know?” Revista Brasileira de Reumatologia, November-December 2014; 54(6):459-466, http://www.sciencedirect.com/science/article/pii/S2255502114001515. Emeir M. Duffy, et al., “The Clinical Effect of Dietary Supplementation with Omega-3 Fish Oils and/or Copper in Systemic Lupus Erythematosus,” J Rheumatol., 2004; 31:1151-6, http://www.ncbi.nlm.nih.gov/pubmed/15290734. Greco CM, et al., “Acupuncture for systemic lupus erythematosis: a pilot RCT feasibility and safety study,” Lupus, December 2008; 17(12):1108-16, http://www.ncbi.nlm.nih.gov/pubmed/19029279.